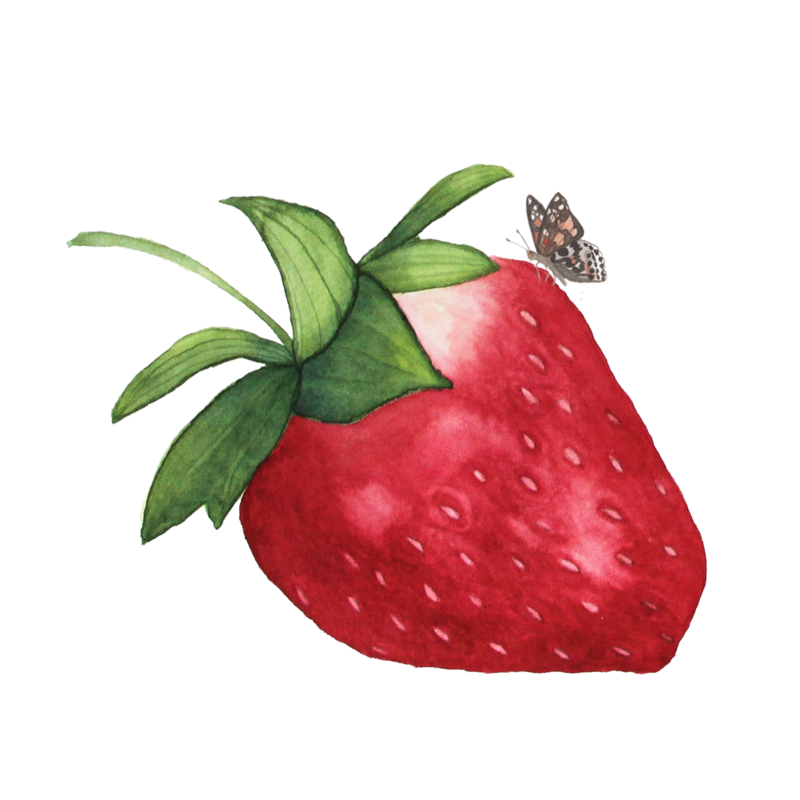 The Story Behind the Name: What is My Giant Strawberry? Have you ever wondered why I've named my business My Giant Strawberry? 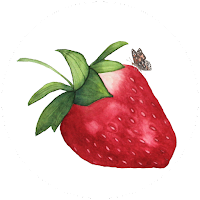 (If you clicked on the strawberry at the bottom of my pages or worked your way through my website's ABOUT page you might already know...). It's kind of weird name, isn't it? The name was here before my website. Before this blog. Before my first Etsy shop. Before I started painting. I've brought it along on each leg of my creative journey because in doing so I'm not only bringing a name, I'm bringing a part of myself. It all started long before there were such things as blogs or Etsy. 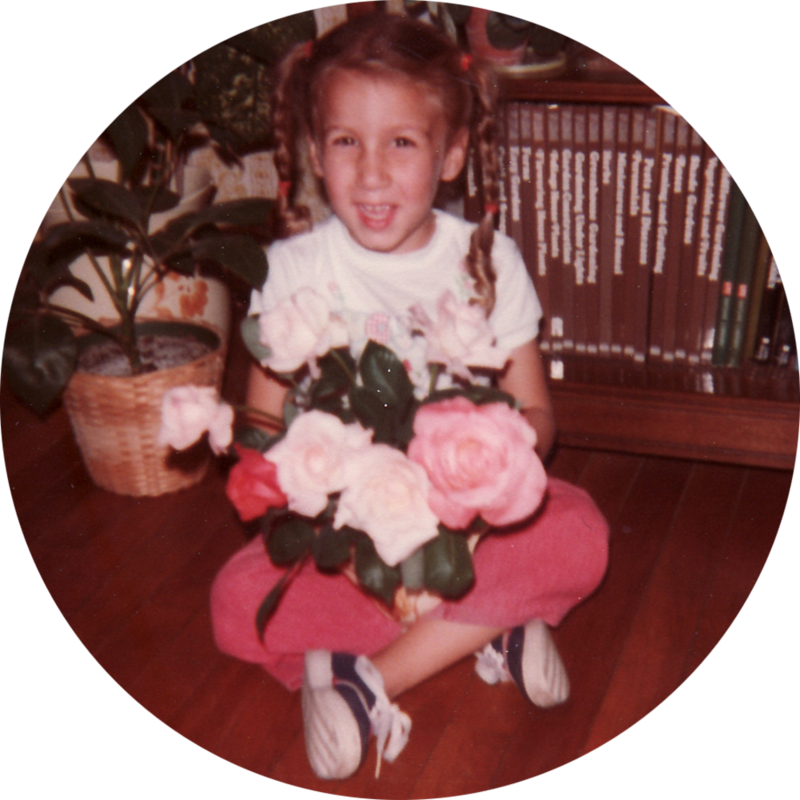 It started with a small girl who had a big imagination. Art, stories, flowers, strawberries, they were all part of the same joy-filled existence. For this girl the world was a magical place. And she reveled in it. All of it. Stories. Making things. Flowers, fruits and vegetables growing in the garden. Birds in the trees. Creepy crawling things beneath rocks. Fireflies. Butterflies. Everywhere she looked she saw magic. And it got her into trouble. Or so the story goes. Her kindergarten teacher came to her parents with concerns that this girl did not know the difference between truth and imagination. Why? Because of a giant strawberry. And a pet giraffe. Yes, I was that girl. Telling my classmates about the giant strawberry in my backyard, about my pet giraffe. Fast forward nearly 30 years. I was an adult. With a normal job. A husband and a house. A garden and a dog. And a missing imagination. But I began to realize that I wanted my imagination back. I started focusing on regaining my creativity. Making things. Taking photos. Writing stories. I started a blog. That blog no longer exists, but I've kept its name. 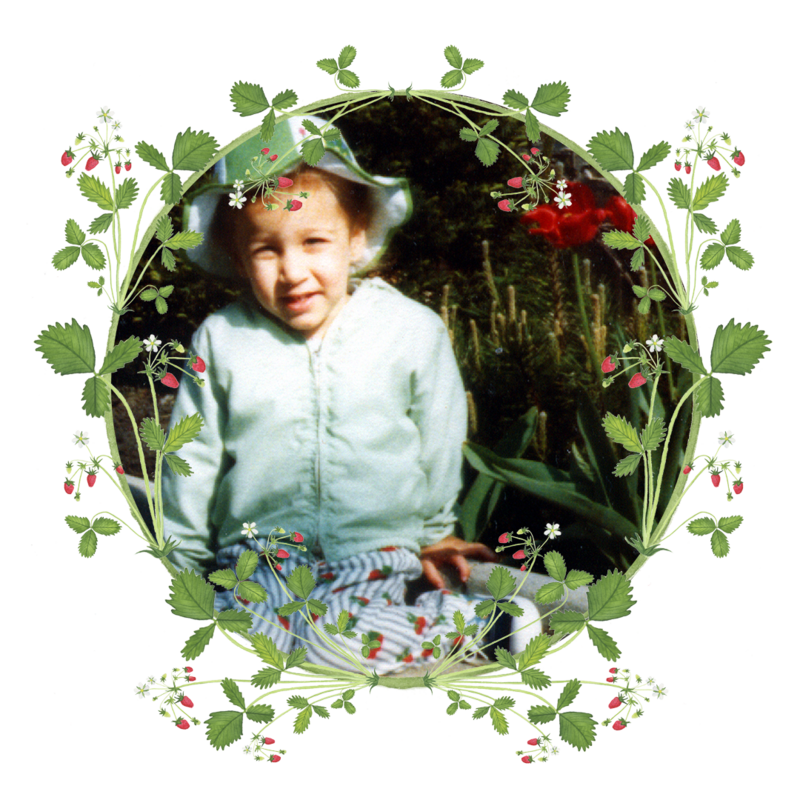 Who better to teach me about creativity, imagination and joy than that little Anne with the giant strawberry in her backyard? I had no clear route for my creative journey when I set out on it. My path has twisted and turned. I've met dead ends and I've stumbled, tripped and fallen. And yet, I know I'm on the right path. I know that a creative life is my true life. Although I'm not a little girl anymore, I still have a big imagination, big dreams. The world is still a magical place filled with beauty and joy. Sometimes I need reminders. That little Anne is there to remind me, to urge me to keep going, to inspire me to keep believing. Maybe she can help to remind you, too? I loved your post today, Anne. I have often wondered about the name of your blog. Teachers sometimes don't realize how a word of discouragement can affect a young child for years to come. In today's world I think they have a better grasp on helping a little one to develop creativity. In truth, I don't feel negatively toward my kindergarten teacher. Perhaps because my parents were supportive of my big imagination. I do wish that I had not been discouraged about my artistic abilities as I went through school. That was a cumulative effect of a lack of encouragement by teacher after teacher, paling in the shadows of other people's praise. I think that's the same for many people. Thank you, Simone! Imagination is everything! I hope that the strawberry was sweet and delicious! You have forever changed strawberries for me. I have always loved eating them. Now every time I see a strawberry in any form, it brings me joy because it makes me think of you. Wishing you lots of strawberries and lots of joy! This is so very special. Thank you for sharing. I love your creativity, you inspire me! Thank you, Carla, for your kind comment. It makes me so happy to know that my little corner of the internet brings you inspiration and joy. So beautiful and touching. Beautiful and magical You!!! You have became a great inspiration for me from the first time I saw your blog and you helped me to believe and not give up with creating! Thank you so much for it!!!! Thank you, Aga! It makes me so happy to know that I have been able to inspire you. You are such a beautiful, creative soul and you always inspire me, too! That makes me happy to know. You have always been so encouraging and inspiring on this journey. It really means a lot to me.